Strike sorties over Iraq and Syria now total 32,828 for the 3-year war that began in late 2014. That's close to the number for Operation Desert Storm. 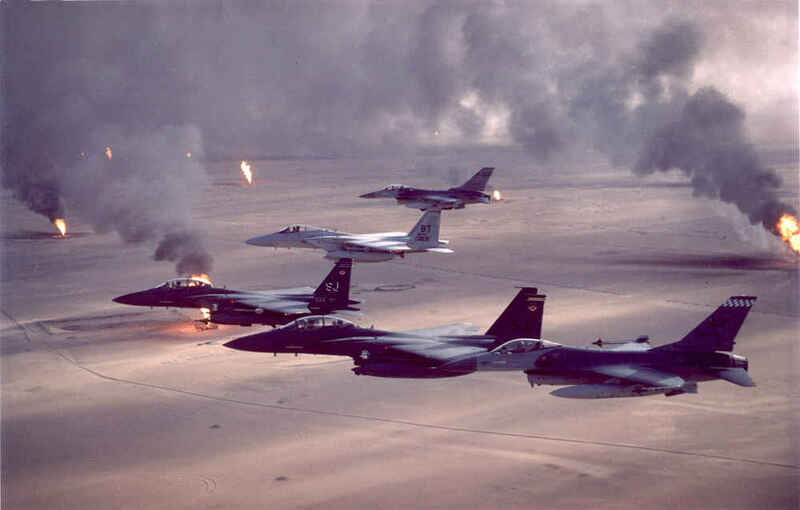 On Janaury 17, 1991, the US-led Coalition began a fight to eject Iraqi forces from Kuwait. The six-week war dominated by airpower and finished up with 4 days of ground fighting redefined American military power. The impact on Iraqi ground forces day after day led Air Force Chief of Staff Gen. Merrill A. McPeak to conclude, "My private conviction is that this is the first time in history that a field army has been defeated by airpower." After Operation Desert Storm, precision airpower grew in scope and gave the US a flexible form of military power that greatly reduced friendly force casualties while it expanded policy options. Take a look back at Desert Storm from the perspective of its 20th Anniversary.